What do you do if you are building a house and want to determine where your property line ends? How do you determine where legal boundary lines lie when your neighbor wants to put up a fence? 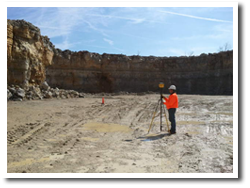 A type of land surveying called boundary surveying uses special equipment to analyze natural and man-made features of any land site. Land surveyors then use their data and information collected to create plans, maps and navigation of that site. In addition, the information gathered by land surveyors can help determine placement of utility lines, drainage pipes, or highways. At Spurrier Land Surveying, you can trust our team of skilled land surveyors to help you with any of your land surveying including boundary surveying and construction surveying. We conduct surveys in Elizabethtown, Bardstown, Hodgenville, Radcliff, Fort Knox, West Point, Louisville, Shepherdsville, Boston, Lebanon Junction, Munfordsville, Upton, Sonora, Cecilia and all of Kentucky. Contact us for a free estimate today.